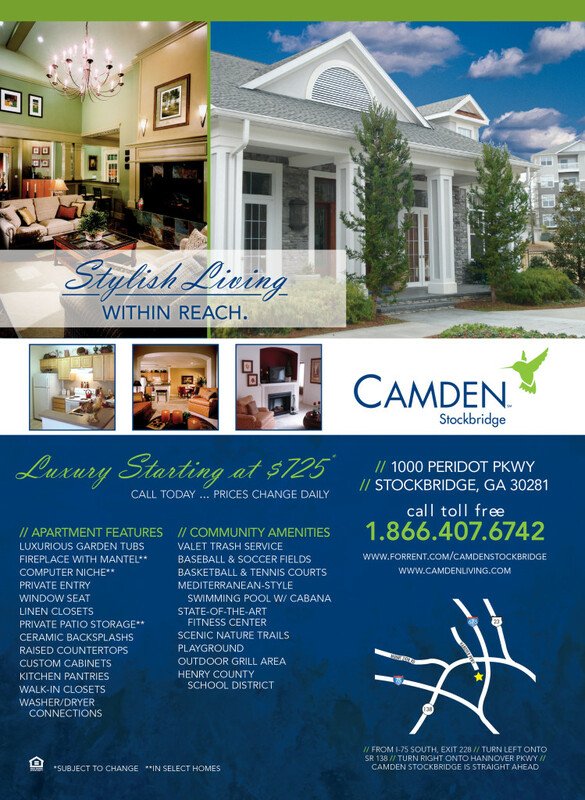 Camden Stockbridge wanted to have an advertisement created that utilized the Camden green and blue but also represented the attention to quality and luxury provided by the Camden Stockbridge community. Camden properties are all about sophistication at an affordable pricepoint, so I wanted to stick to a structured layout that utilized the bold Camden color palette to highlight this key aspect of the community. I created a subtle textured background in the Camden blue to allow the rich, bright photography to immediately catch the eye of a prospective tenant as they thumb through the magainze while the Camden green gives just enough pop to the important features of the property. Overall this was an effective way to showcase what Camden communities are about.